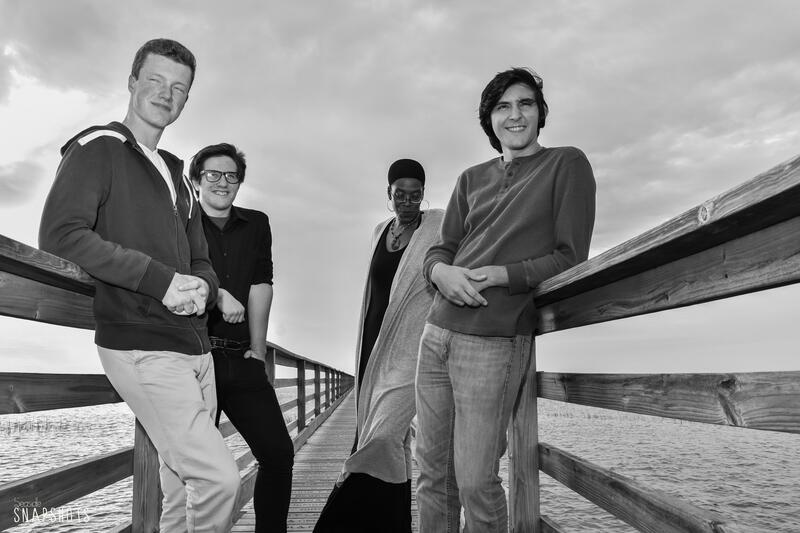 (In The) Pocket consists of four passionate, dedicated musicians who enjoy playing many styles of music: Ben Andrade-percussion, Dylan Routhier-piano/flute and Dave Girarden-bass. They started playing together in late 2016 and clicked immediately. All four musicians thoroughly enjoy sharing musical ideas through covers and original music. The band covers many different styles of music. Jazz, Blues, some classics and can usually adapt to most any musical environment to fit an employers needs. Some titles that (In The) Pocket covers are Strasbourg St. Denis [Roy Hargrove Quartet], So What [Miles Davis], #41 [Dave Matthews Band]. Jazz vocalist Chev Hardy evokes the greats like Ella Fitzgerald, Sarah Vaughan, and Billie Holiday. She has performed at a number of venues on Cape Cod, including the 2017 Cape Cod Women’s Music Festival at the Cape Playhouse in Dennis.